What should I pack in my pregnancy hospital bag? 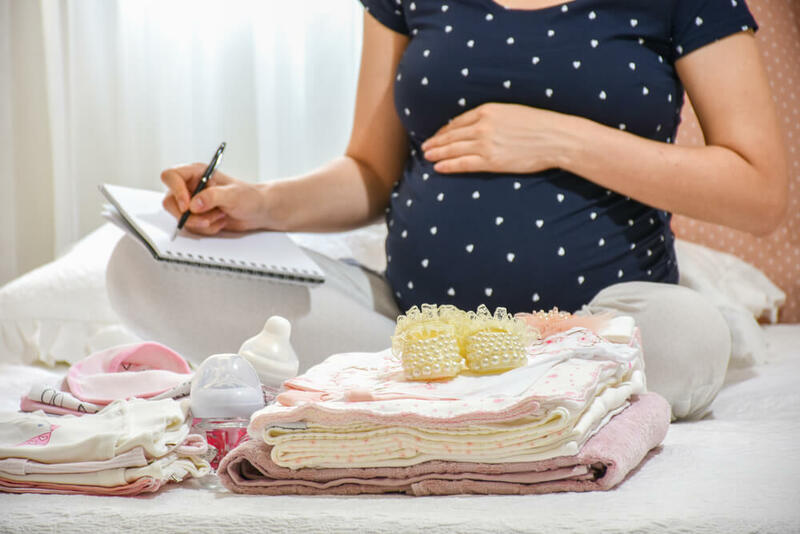 There’s a lot to do as your due date draws near – from preparing the house to stocking up on baby supplies, it’s a challenge to get everything finished in time. Hopefully this checklist means that packing your hospital bag becomes one less thing to think about. What should I pack for Mum? Keep it simple. A maternity ward has space for patients but not excessive luggage. A smaller sized bag is ideal. That said, there is a raft of possible items you can pack for mum. Pregnancy can be dehydrating so take lip balm to restore dry lips. A drinking straw or water bottle is also useful as you will able to sip drinks lying down, with minimal risk of spillage. Make sure to remember your birth plan and maternity notes, as well as other essentials like comfortable clothes and a wash bag. Aromatherapy oils can be soothing during more stressful moments – lavender is particularly calming and works well as an antiseptic. You may not feel like watching TV or reading a book during labour but it’s handy to have some kind of entertainment at hand, especially if you are staying overnight. What should I pack for baby? Your newborn will need several clothes changes in their first few days, so come prepared with multiple options. 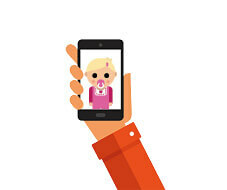 Keep the weather forecast in mind when you plan and make sure your baby is wrapped up if its cold. Opt for cotton clothing to reduce the risk of irritation, and check with your hospital or antenatal class for more specific guidance. At such a young age, babies don’t keep hold of their food for long – so make sure to pack plenty of nappies. Some like to give their child a blanket they have already used, so that the baby can smell its parents and feel safer while sleeping. If you would like to do this, sterilise the blanket beforehand by washing it at a high heat (above 60C). What to pack for the birthing partner? As with mum, pack some comfortable clothes as you don’t know how long you will be waiting. Keep a list of people to call once your baby is born; amid all the excitement, it can be difficult to remember everyone and a list can simplify matters. If you are using a Cells4Life phlebotomist, make sure to include their number on this list so you can call them once labour begins. Generally, it is advised to pack your hospital bag at around 35 weeks of pregnancy. This way, you will have everything ready if you go into labour earlier than expected. No need to stress, though. Your birthing partner, family or friends can always pick up any last minute items that you may have forgotten. At Cells4Life, we recommend keeping your Collection Kit close to your hospital bag at all times so that you remember all of your essential items in the rush to leave the house. Our Collection Kit is designed to protect your baby’s cord blood sample on its way to our laboratory in Sussex and is equipped with everything needed to collect cord blood and tissue. It also contains a monitoring probe so that we can ensure your sample has remained at the right temperature while in transit.